The Raven Spoke: Unskilled labor? The immigration debate shouldn't even be a discussion. This is America, immigration is what we do. TheRaven previously explained immigration as both a moral cause and a saving grace with a look at the unpleasant demographic alternative called "Europe". This post looks at anti-immigrant hysteria from a different angle. There's a persistent myth that immigrants can't be trained for new vocations. The Right assumes that adults from low-tech environments lack the background necessary to acquire high-tech skills. Such assumptions are proclaimed as fact and spewed at a credulous, white audience. America's history refutes this notion several times over. 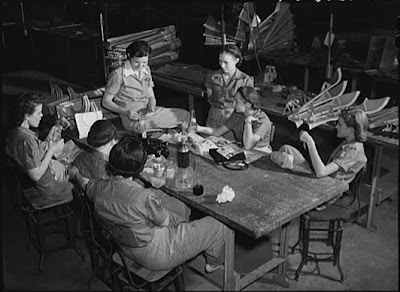 This post provides only one example, in only one city, with a series of images obtained from the Library of Congress. 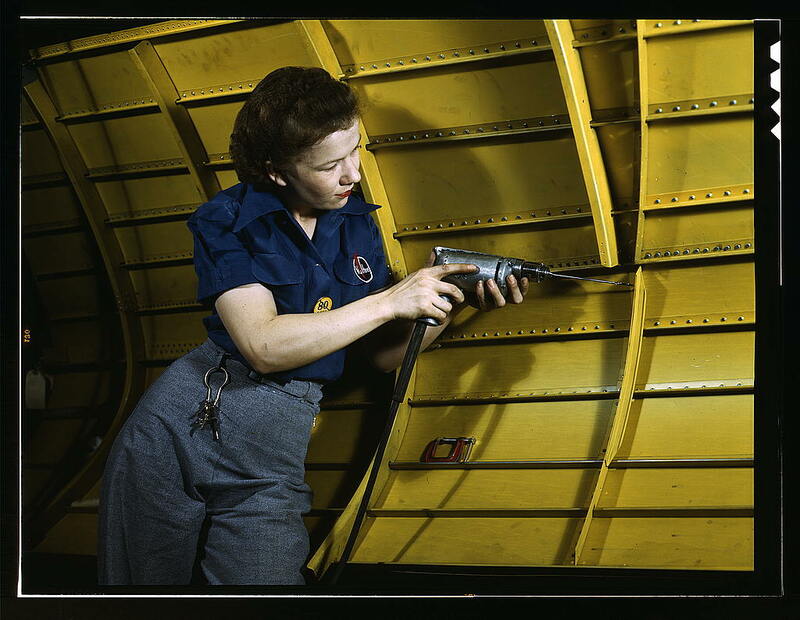 Three generations ago, America turned to its largest pool of unskilled people to fill a massive need for high-tech manufacturing labor. Recruiting an enormous army & navy while also embarking on an unprecedented surge in military manufacturing caused social norms to be tossed aside. 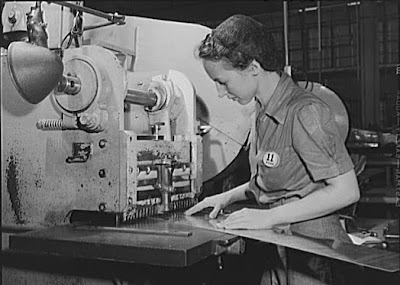 The vast majority of this new manufacturing army had never held a wrench, power tool or had previously seen the inside of a factory, let alone operate hydraulic presses or master difficult skills such as welding. Most women who manned our factories during WW2 had zero prior experience with any manufacturing process, tool or concept because they were previously "housewives". 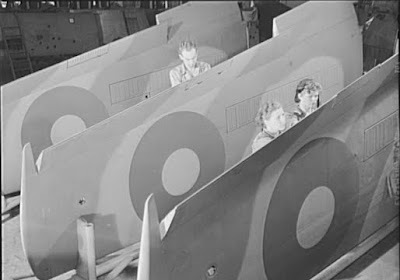 Vultee Aircraft (California) bought Stinson Aircraft Corp. in 1940. Vultee paid $2.3 million for Stinson and got a recently completed, $2 million factory in the deal. 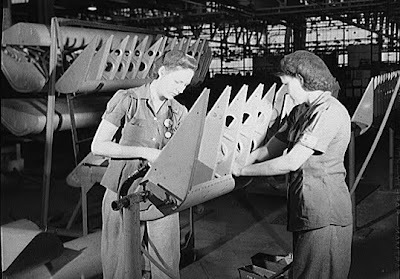 A Time magazine report on the transaction noted Tennessee's "plentiful labor" and speculated that Vultee might expand the Stinson workforce ten-times over, to 7,000 employees. 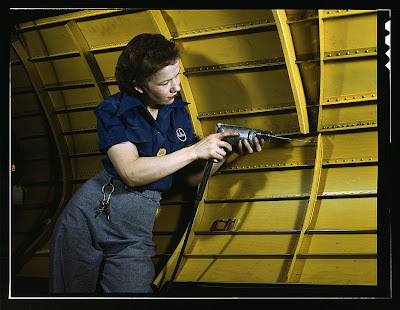 Time didn't mention that such expansion would depend heavily on a female work force. These photos were taken for the Army in August 1942 and February 1943. 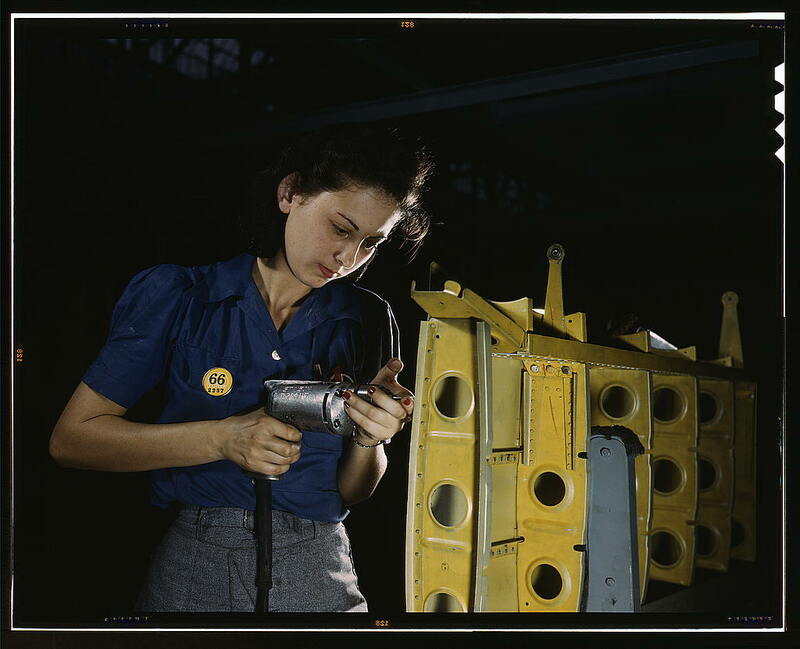 While these photos appear to be staged, the women were genuine workers. 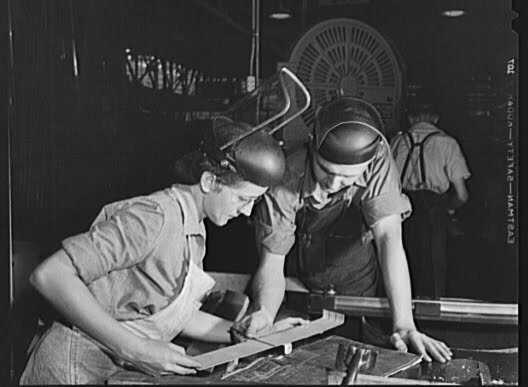 The wartime economy caused the US female manufacturing workforce to roughly quadruple in just a few years. 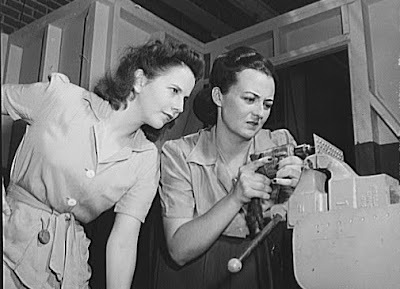 The Arsenal of Democracy legacy was built in large part by "a bunch of housewives", some of whom began their wartime employment with fewer job skills than less educated immigrants possess today. 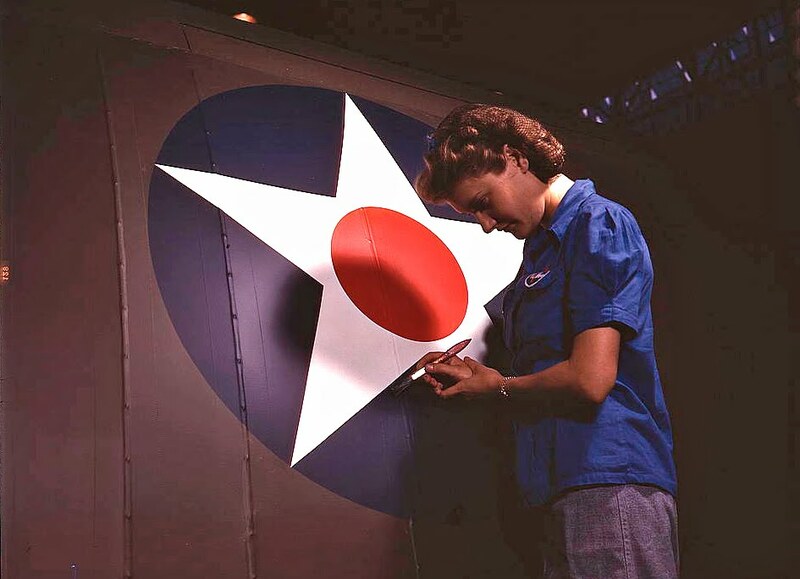 Vultee went through several changes in ownership and was acquired by Vought in 2003. 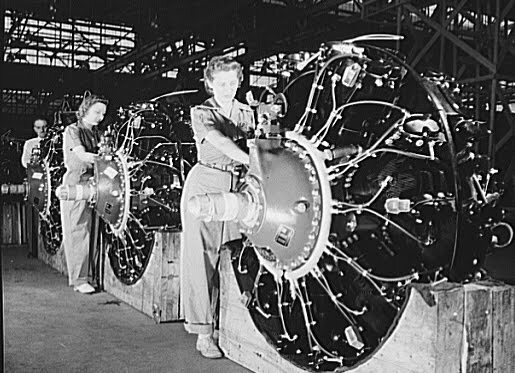 The original Vultee plant has grown to 2.1 million square feet. Aircraft components have been produced for over 70 years at 1431 Vultee Boulevard, Nashville, Tennessee. 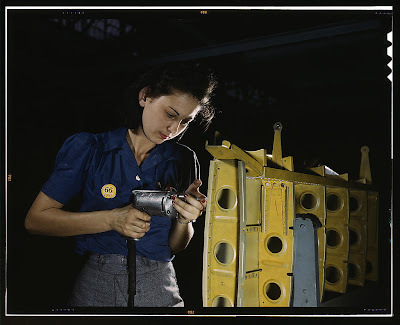 The legacy of a quickly-skilled workforce that made a big contribution lives on in Nashville, but not in the hearts or minds of Right-wing demagogues.